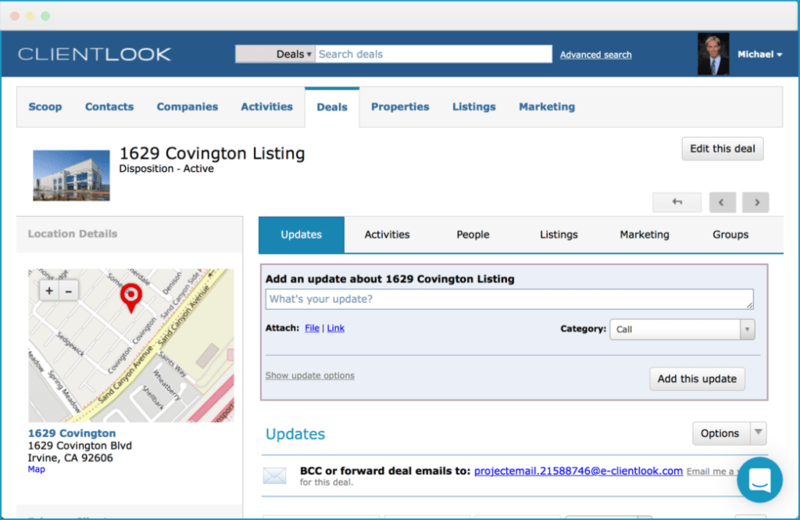 ClientLook provides the easiest way to help digitize your deals. It effortlessly organizes updates, calls, activities, files and emails in one place online. It’s easily accessible and forever archived for you and your clients. The ClientLook “deal” is an electronic file cabinet and virtual war room rolled into one. It summarizes all your activity, tracks your pipeline and helps you collaborate with your clients. You can even share deals with team members across subscriptions for the ultimate co-brokerage experience.